We round up the latest Arsenal transfer rumours on Wednesday, July 18. Everton are interested in signing Danny Welbeck from Arsenal, according to The Times. The striker has less than a year to go on his current deal, and has been pushed down the pecking order at the Emirates after the arrivals of Pierre-Emerick Aubameyang and Alexandre Lacazette. Arsenal are interested in prising Kingsley Coman away from Bayern Munich this summer, BeIn Sports reports. They suggest a £44m (€50m) deal could be struck with the Gunners contiuing to overhaul their squad for the new season. Arsenal and Barcelona are believed to have entered talks regarding a deal for Andre Gomes, Football.London reports. 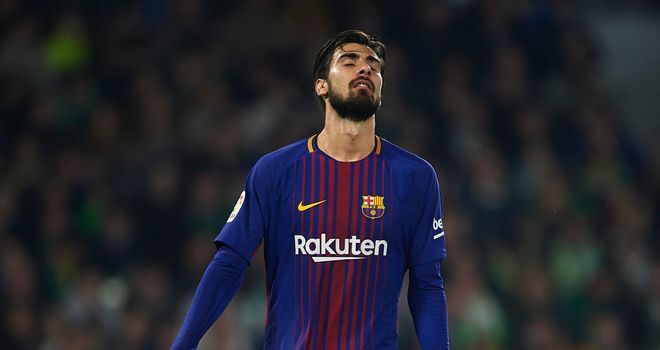 Gomes has been regularly linked to a move away from the Nou Camp and could finally move away this summer with Barcelona keen to get a deal done before their pre-season tour. Chelsea are considering re-signing Arsenal goalkeeper Petr Cech If they sell Thibaut Courtois to Real Madrid, according to Sky sources. The 36-year-old Cech first joined Chelsea in the summer of 2004 from Rennes for £7m and having won the Premier League four times and the Champions League he moved to Arsenal in 2015 for £10m. Arsenal's new manager Unai Emery said on July 12 his summer recruitment was done - unless a "big opportunity" arose. Pick your dream team for England v Sweden to win the guaranteed £1k jackpot.